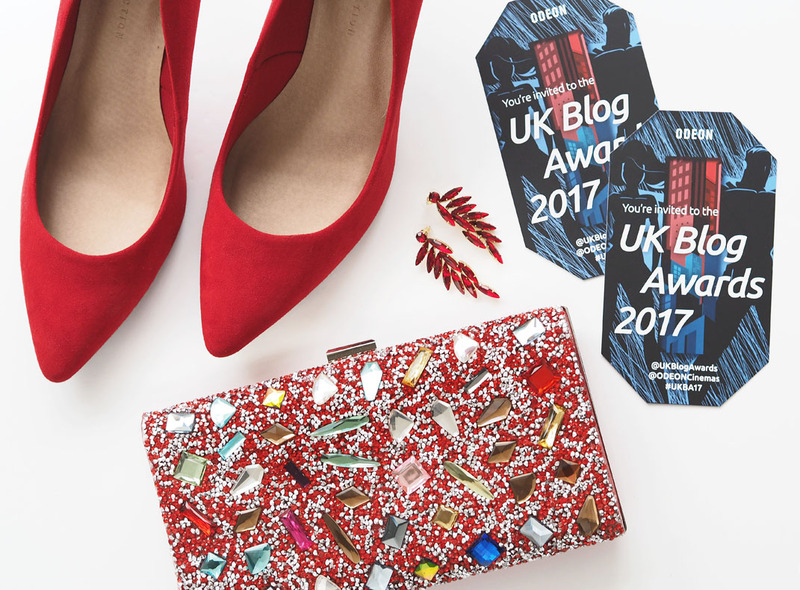 When this post goes out I’ll be at the UK Blog Awards – probably the biggest date in a blogger’s calendar for those who attend! 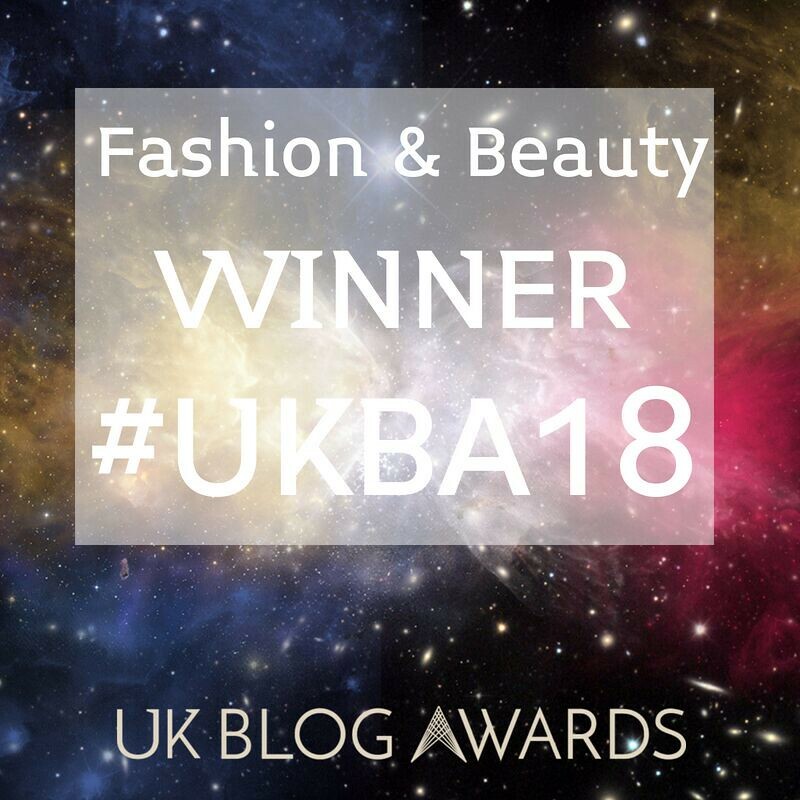 As many of you may know (and know perhaps because you voted for me, for which I’m eternally grateful), I’ve been shortlisted for the third year in a row for best Fashion & Beauty Blog. It’s going to be a big night and one I can’t wait for, for all sorts of reasons. I thought for my Saturday Share post I’d share my thoughts on industry awards, what being shortlisted means, and most of all why the visibility of older women in the fashion and beauty industry is so very, very important. Basically, these awards are the biggest in the UK – every single genre of blog is represented, and awards are given to both individual blogs and company blogs (so I won’t be up against any clothing brand’s blog, for example – just other individual bloggers). So you can imagine just how many people will be there if you consider there are 17 categories, 8 finalists in each – and then double it for companies and individuals… so yeah, 272 finalists alone. That’s a lot of movers and shakers. Most of us cannot afford the luxury of an assistant, or an administrator, or even an accountant. So to be recognised for all the hard work you put in – and to actually be able to say you’ve been nominated for/have won an award – is a very rewarding way to allow ourselves that pat on the back that we quite rightly deserve. Most other industries have awards nights and presentations for services within their industry, and blogging is just as worthy of recognition in the same way. This year is more than just my third nomination in the Final 8 (it was a Final 10 until last year, so it was even harder to get shortlisted!) – it’s the year that not one but TWO over 40 bloggers have made it to the final 8. I couldn’t be prouder that older bloggers have made up A QUARTER of the fashion and beauty finalists… that’s no mean feat, considering our [fashion] industry is still very youth biased. For me, therefore, it was important to be shortlisted because I wanted to make sure that 40+ bloggers are represented and seen to be making waves in the tough world that’s saturated with Chiara, Leandra, Aimee and their equivalents. Blogging is another branch of the large tree that is fashion and beauty, and one that is gaining rapid momentum in this world of powerful influencers. We NEED older women to be visible in fashion. The amazing Lyn of Accidental Icon has recently been modelling for Mango – a brand known for having a very young target market. This is fantastic news and certainly shouldn’t be the last time a major high street brand picks up on how chic and ageless older women are these days. Middle-aged women of today are not the same as the middle-aged women of yesteryear. They are, look and feel much, much “younger” – and are less constrained by society’s expectations on them. So I’ll be there tonight in all my “dolled-up” red carpet-worthiness (the best I can manage, at least). Not only that but my fashion blogging husband Keith will be there along with several other 40+ blogger friends who are not nominated, but all there to support us (and, ahem, drink a glass of champagne, or two. Or nine). So we may well be older and we may well all need our glasses to see our phones and send out tweets and post to Instagram(! ), but we can rock sequins or a gown just as much as the younger bloggers can. We can show the fashion blogging industry that we’re a force to be reckoned with, that WE’RE the ones that brands should be collaborating with in order to reach the age group that have the most disposable income. And I know it’s not about the winning, but I really want a 40+ blogger to win the Best Fashion and Beauty Blog Award, even if it’s just once (though more often would be the goal). If I win I definitely won’t be cool about it AT ALL – I promise you I’ll be dancing on the ceiling afterwards (someone peel that girl off)!! 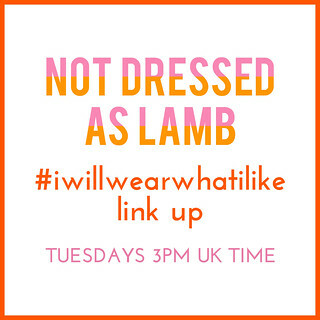 It’s unlikely I’ll win, but we NEED a winner to show other older women that we CAN make waves in this industry. Thank you for joining the #SaturdayShareLinkUp! Designed to allow you to share anything you like on ANY topic, it goes live every Friday at 8pm UK time and will stay open for a week. 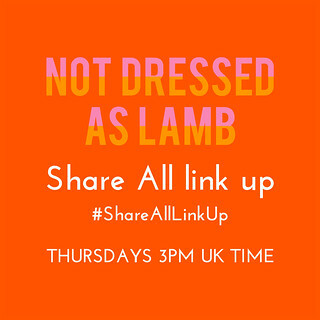 You can share blog posts or Instagram posts, old posts or new posts, and link up as many as you like. I went to a blogger event recently and was stunned to be only one of 2 over 50, in fact there were only 3 of us over 30! We mix on social media with our similar age group and get a sense there’s many of us. Out there really we are a rarity. I found it surprising to find the 20 year olds telling me how valuable we are. I mean why cant we blog too! Why can’t we be interested in fashion and make up! I totally agree with and support this!!!!! I've been out of the blogging scene since my "mommy blogging" days and feel like social media has exploded to the point where I can't catch up. I blame this for why I only just discovered you. Congrats on a beautiful blog, your success in a world dominated by the young and your award so justly deserved!! You represent us over 40's brilliantly! This poses an interesting bit of food for thought. I don't consider 40 to be an older woman. For me, "older" is over 50 and 60 plus. Perhaps it is because I'm IN my sixties and thinking back in my forties, I was so incredibly young. But I 'get' what you are saying. The fashion industry places women in the 40 and over category out to pasture. In the 60 and over–well, we're just dead. It's a shame because of our purchase power and as a demographic, we are strong, we are professionals, we are the money makers and we have more style in our pinky fingers than the young, young girls do. They are still trying to "find" their style. Best of luck to you. I'm silently rooting for you from across the pond. I'm one of those bloggers who are old and decrepit. Just the type the fashion and cosmetic industries despise. So my dear Catherine. I want you to go in there an knock 'em dead!!! Come out on top!!! I see no point in leaving a comment after reading yours Catherine, you've said everything I was going to! Especially he part about "being older" hahaha. So to all that you said – Ditto! Wishing you all the luck! Represent! My link this week has Silvana and me making bad selfies together and having a blast. Silvana is a 60+ Force of Nature from Australia and I'm so glad we connected on Instagram, then were able to meet IRL. Hurricane Silvana blew Los Angeles to smithereens!!!!! Heehee. I think it's bloody brilliant that 40+ bloggers are finally getting the recognition they deserve – especially you!! Congratulations for the win. I was so excited to read you'd won last night. You really deserve it, Catherine! I cross my fingers for you and all toes. Hope it helps. Best of luck!!!! Have a fabulous time!!! I am so looking forward to see your dress, and I do hope that you win. You are my winner, but I am so with you and your spot on post. Oh I'm so crossing thumbs over here! But whatever happens, I hope you and all the other fantastic bloggers have an excellent evening. I am curious about your outfit! Sending the best luck to you Catherine!! We definitely need to have more of us older women in the lime light!! Heck, we are the ones with the funds & time to buy clothing, right?